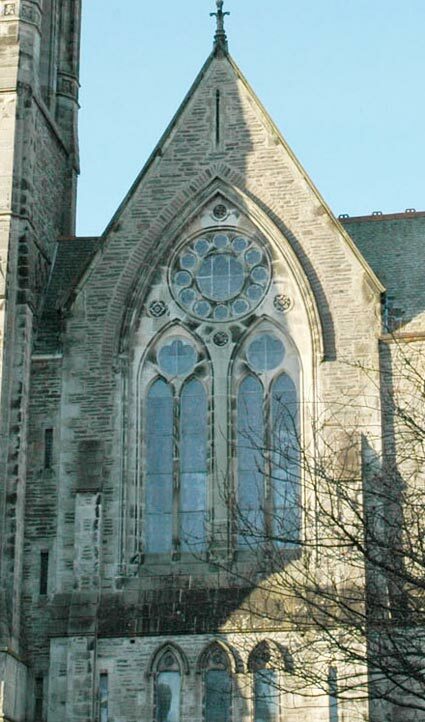 MAST was appointed to carry out a comprehensive fabric repairs study of St John’s Church of Scotland, a Category A Listed Building erected in 1877 to designs by Robert Bryden. The church is laden with decorative plasterwork, fine joinery, painted leaded glass and Minto floor tiles throughout. Considering its age, the building remained in fairly good condition however its signature spired steeple, huge roof and array of gablets and sumps, were all beginning to let in water and threaten the interior of this extraordinary church. We were engaged to prepare a Building Repairs Study including a photometric survey, steeplejack’s report and a detailed examination of the building’s fabric. 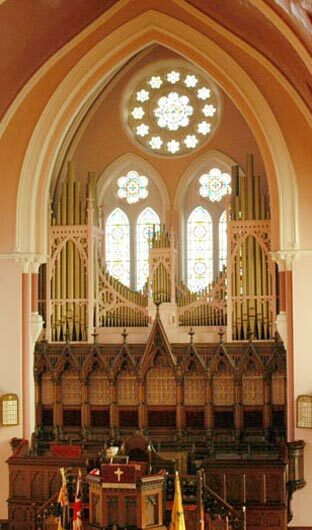 MAST successfully secured a Repairs Grant for Places of Worship allowing 2 phases of work to progress. 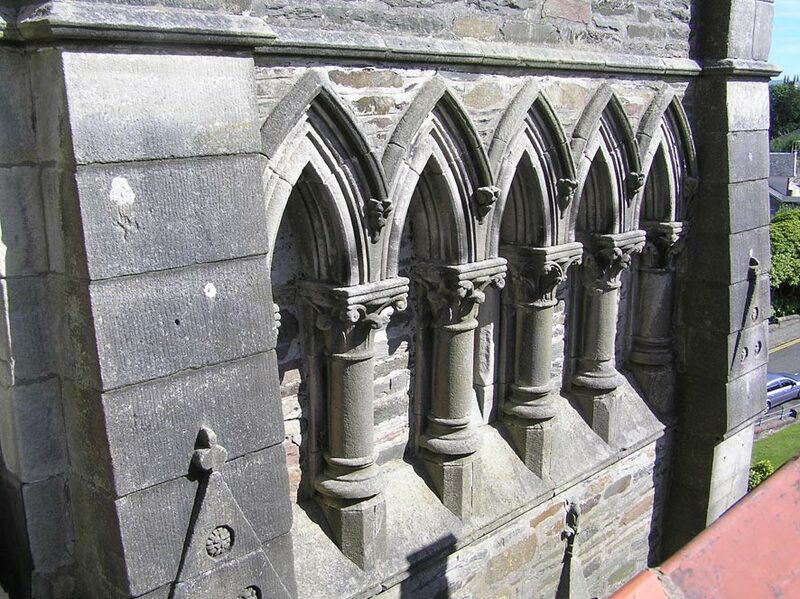 Phase 1 repairs were undertaken in 2007 – 2008 and addressed the most serious structural issues, as well as carrying out repairs to the sanctuary roof and rainwater goods. Phase 2 repairs commenced in April 2009 and focused on repairing the fabric of the smaller ancillary spaces to the north and west of the sanctuary.